Access Life International is dedicated to providing hope and care to people in Southeast Asia. We assist persons with disabilities through physical therapy and mobility devices. We also partner with villages and communities throughout Southeast Asia to overcome barriers to clean water. 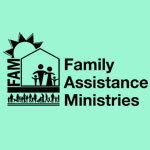 Check us out at http://www.accessli.org. We have been heavily invested as a church in a remote village in Veracruz, Mexico for the last few years. We are working through a church there to bring the gospel to people and see other churches planted in the area. We are also working to bring joy to kids, medical treatment to those who need it, and support for the church and pastor in various ways. Pastor Daniel Nunez’s God-given vision is to plant 50 churches in his lifetime. In the first few years, he’s already up to 35! He pastors the main campus and trains other local pastors to plant more churches in the Tijuana area. Each month on the 4th Saturday, we head down to help with construction needs, reach out to children with games and crafts, and share a meal. It’s a neat opportunity to get to know our Mexican brothers and sisters and make the local church shine. We hope you’ll join us for one of these perspective-changing trips! 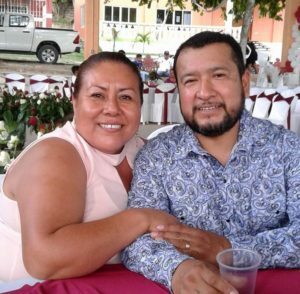 This couple’s staff on the ground is involved in medical and community outreaches, church planting, schooling and feeding programs, sustainable organic farming, and training programs. They minister primarily to a Muslim tribal group using story telling methods for oral learners, one on one discipleship, and a house church. Due to the nature of their location and ministry, their identity needs to be kept confidential. 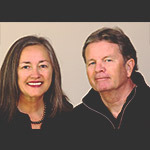 If you’d like more information about their ministry, please contact Stacy Tertany. Kelly is from Korea, Gary is a California native, and they have been married for over 30 years. 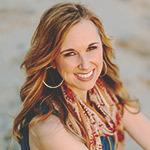 The Lord called Kelly to the mission field in 2009, but she waited in prayer for two years before mentioning it to Gary. Sure enough, God called Gary in 2011. Up until that point, he was happy volunteering in the local church. After reading the book Radical, Thailand came into his mind, so he pursued a short-term trip there, which turned him upside down spiritually and he felt the call to serve full-time in Thailand. The Lord had answered Kelly’s prayer, and they applied to become full-time missionaries in Thailand to share the Good News of Jesus Christ with the Thai people. For the past decade, we have had the privilege of leading short-term international mission trips with Walking On Water and have seen firsthand how God has used surfing as an effective vehicle to reach the unreached. Surfing provides opportunities to share the love of Jesus in a unique and relevant way because it helps bridge the gap between cultural barriers such as religion, language, and social status.